An Entity represents a concept, or a subject, that can be used in a sentence. It can be used to handle different values for an important concept, or for the chatbot to retain information during the conversation. 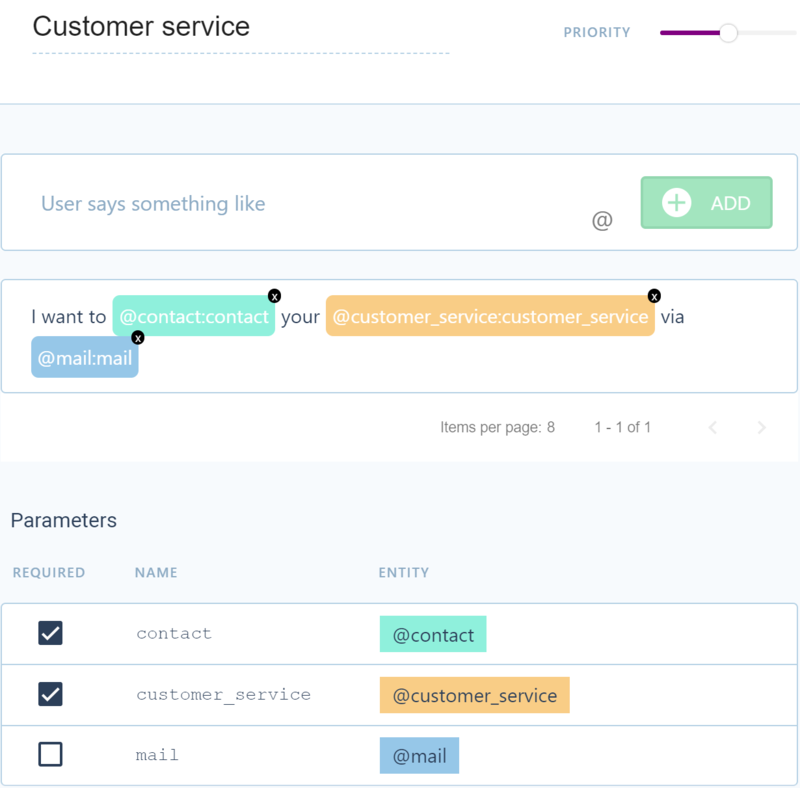 There are two kinds of entities in the Clustaar Platform: Built-in and User defined. You can create your own entities according to your own needs. You can allow your chatbot to recognize words or expressions. Use the value of a session variable. You can use this to easily maintain several formulations in an intent. It can be useful for concepts or actions. A single entity can be used in several intents. Don't hesitate to create many different entities. It's better than to create one "catch-all" entity: in a context, two words can be synonyms, but not in the other. Two entities can also share values/synonyms and be used in different contexts. An intent does not use the entity directly. The intent will create a parameter to represent an entity, whose value can be stocked in a session. Those parameters are very important because you can change them yourself, to have two different versions of one entity in the same intent. For example, one "Required", the other not. By default, the parameter of an entity is on "Required". This means one of the values/synonyms of the entity must be present in the user query to match the intent. In this example, "contact" and "customer service" are essential words (Required), but "mail" is not because (Non-required) people could say: "I want to contact your customer service" or say "by phone" instead of "via email". 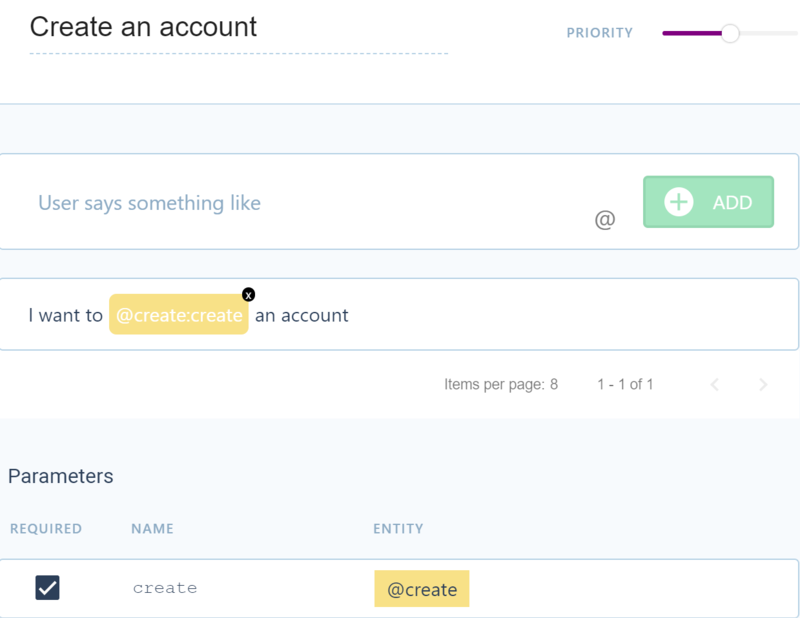 In this example, "create" is required, because you don't want the intent to match if people say: "I want to delete an account"